The Mount Airy City School system is a family. A family filled with top notch educators and administrators who are committed to the success of each and every child. My children are encouraged, they are motivated and they are pushed to be their very best every single day. Most importantly, my children our loved. When I send them to school I know they are getting the best possible education from teachers and staff who love and care about them both academically and personally. It is a blessing to be a part of this wonderful school system. My family moved back to Mount Airy from Charlotte two years ago. Our oldest son was about to start school and we were hoping for a smaller school, more student attention, and a system where he would be surrounded by great educators that also cared about him personally. We can honestly say that BHT has far exceeded our expectations in all realms. Our child is happy and we have seen him grow tremendously; emotionally, physically and educationally over the past two years. We have been blessed with awesome teachers who are very passionate about teaching and treat our son as if he is their own. It’s also been heartwarming to watch the smaller school and community work together as a whole; it truly does take a village. The Mount Airy City School system has a great thing going and we are proud to be a part of it! The Dual Language Immersion Program has been such a blessing in my daughter’s life. When the idea was first announced she was accepted into the program, I was both excited and scared about what lay ahead. Boy, it was such a leap of faith, but I am so glad my husband and I decided to accept the opening. Our daughter loves the program. She is excited about learning and looks forward to school every day. She is thriving! I am so excited to see what the future holds for her because of this program. My youngest daughter is 8 years old, full of life and always eager to use her imagination and creative brain. Mount Airy City Schools and the STEAM initiative have helped to fuel this desire and passion for her as a young child. On a continuous basis she has many opportunities to learn through hands-on experiences that allow her to enjoy her learning at a deeper level. Last summer she participated in Camp Invention where she designed, created and tested all kinds of ideas with her friends. This learning opportunity helped to extend the great STEAM lessons she had experienced while at BHT. All of these experiences have helped to shape her future and none of these experiences would be possible without the dedicated educators of Mount Airy City Schools. It is an awesome feeling when your child tells you that they are inspired by their art teacher. It is a great feeling when that 3rd grader tells you that they want to be a cartoonist and they began to set goals based on their inspirations from school experiences. Mount Airy City Schools is the best and I feel blessed to bring my daughter to school each day! Our daughter is a 7th grader at Mount Airy Middle School. She loves MAMS and all the opportunities available to her. The band program is phenomenal. The teachers and staff really care about the students as a whole and work to prepare them for the next step in their lives. We are confident that she will be ready for high school and beyond because of her experience at MAMS. She is able to build a solid foundation in academics, athletics, and social skills through strong support and encouragement from the teachers, coaches, and administrators. We have found the staff and administration at MAMS to be very approachable. At MAMS there is a strong sense of community and we are thrilled our daughter is a part of it. Our son has attended Mount Airy City Schools since kindergarten. He graduated with the class of 2015 from Mount Airy High School. During his school career he aspired to enter into many different professions. He could not decide what would be the best path for him to take when completing high school. During his junior year he enrolled in Mrs. Chase’s computer technology classes. During her classes he got to explore many different technology avenues and processes. This sparked an interest and desire to want to know more about computer fundamentals and graphic design. He decided to attend school at Surry Community College and acquire a degree in Digital Media Technology after graduating high school. He is half-way through his first semester and the knowledge he attained in Mrs. Chase’s classes has given him a good foundation to build upon for his future career in digital media technology! As parents of two former Mount Airy City Schools’ graduates, we could write a book about the positive educational experiences our children have been provided from kindergarten to high school. From the day they walked through the doors at Tharrington where the principal greeted them every morning, to the day they walked across the stage at Mount Airy High School as their principal gave them their diploma and a hug. Every day in between was filled with enough rigor to push them to be better than the day they were before but with enough support to know that if they were to struggle it would be alright because of the teachers surrounding them. Our children have thrived in Mount Airy because of the differentiated instruction and the extra-curricular activities that have been available to them. This has never been more evident than both of my children’s first years of college. When we asked about how our son’s chemistry class was going his reply was “I was more than prepared for this class after sitting through Mr. Goins’ Chemistry class; I felt sorry for the other students." This year as our daughter was asked to create a Google presentation for one of her classes, she was shocked to find out that not all students have been surrounded with the amount of technology that is readily given through the Mount Airy City School system. The number of AP classes offered at Mount Airy High School is exceptional. Not only are the classes offered, the teachers are covering the content at a college level and students are passing their AP exams and receiving college credit. Everyone is talking about and debating about how to make our students “college ready." Mount Airy has found the way and I could not be more pleased with the level of education that both of my children have experienced. I will forever be grateful for the level of education my children were given because it truly does “take a village to raise a child." We have always been proud to say that our children attended and graduated from Mount Airy City Schools. In fact, I have often told people that our children received an education as equal to a private school education as possible in a public school setting. The emphasis on quality elementary and middle school basic skills—plus offerings in the arts and languages—prepared both my son and daughter for a rigorous high school curriculum and beyond. Mount Airy City Schools’ small size ensures that they—along with all students—are nurtured and encouraged on a personal level. A combination of Advanced Placement, Honors courses, and excellent Spanish instruction offered at Mount Airy High School allowed my daughter to transition well into undergraduate life at the University of North Carolina at Chapel Hill and later to law school at Florida State University. Today, she operates her own successful law practice in Greensboro, NC, and is fluent in Spanish. Thanks to the combination of Advanced Placement and Honors courses, plus excellent instruction in art and music, our son was well prepared to earn an undergraduate degree from North Carolina State University’s College of Design and later a graduate degree in Film and Television Production from the University of Southern California. Today, he is a film director. The National Association for Secondary School Principals (NASSP) notes that college admissions officers say the strength of the high school curriculum is a more important predictor of college success than on any other single factor (SAT, class rank, etc.). As a high school counselor at Mount Airy High School for 18 years, I learned that college admissions officers who had experience with our students, knew they could trust Mount Airy High School students to have been well challenged in high school and to be fully prepared for success at the college level. My family will always be grateful to the Mount Airy City Schools—and especially to many special dedicated, and demanding teachers—for helping our children become successful, productive members of the 21st-century world! Our son is in 1st grade at Tharrington Primary and we could not be happier with the commitment to education, personal relationships, and leadership that we have seen from the MACS family. Our son has food allergies and sending him into the public school system last year was nothing short of scary for us. His teachers, cafeteria staff, and administrators have worked with us to develop a plan that we feel good about and keeps our son safe. We have been very impressed with the teachers commitment to help each and every student work to their full potential. We truly feel that we are partners with the BHT staff in our son’s educational goals and have always felt welcome to have a supportive presence in the school. Our daughter is a Kindergartner at Tharrington Primary School. The early grades are so important in the life of a child and there is no better place than BHT. She is in the DLI classroom. We cannot express how wonderful this program is. The DLI program has provided our daughter with the valuable resources and support to help her reach new levels of growth and realize her full potential. We are forever thankful for the positive strides we have witnessed in our daughter’s growth and development. She is already singing and reading in Spanish. Our daughter is eager to do her homework and cannot wait to go to school the next day. Her teachers at Tharrington are very dedicated and truly care about the students. They work hard at making school fun. 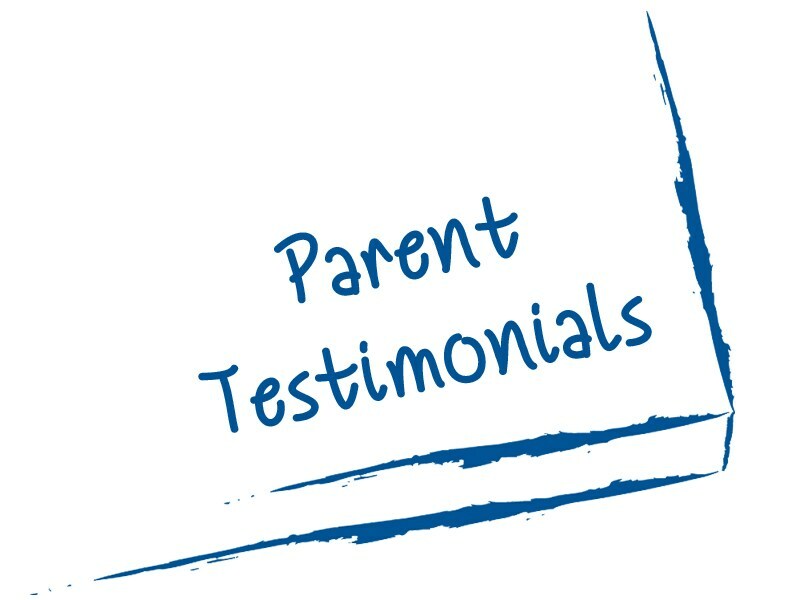 There is constant communication between the teachers and the parents, which is greatly appreciated. A simple thank you would never be enough! As parents of a 9 and 7 year old we have been very happy with Tharrington Primary and Jones Intermediate. The teachers are helpful, loving, and caring. Not only do they teach our kids, but they also instill lifelong values: being hardworking, responsible, and proactive. They work on behavior in parallel with teaching. Our kids are eager to impress their teachers and to work hard because they feel that they are genuinely cared for. Pull-outs also help to keep the students motivated and stimulated. Our kids are thriving in a safe, friendly, and loving environment. They are making good grades while having fun. I have had children in the Mount Airy City Schools for 11 years. I feel that my son and daughter have had access to things found in large school systems, but with the attention to detail only found in small settings. They continue to have the opportunity to be challenged through innovative class offerings that also foster leadership opportunities and good citizenship. Mount Airy City Schools continue to be recognized at the state and national level, yet seek to build community partnerships locally. I am proud to be a Bear parent and I am grateful to live in a school district that is totally committed to providing a high-quality education for all of our children!